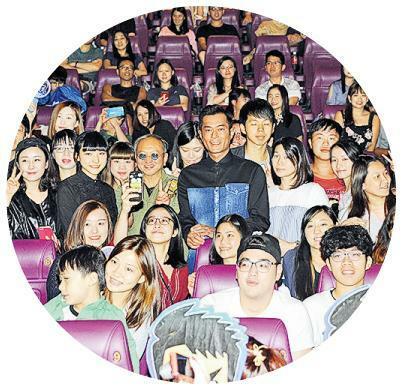 The Louis Koo Tin Lok starred PARADOX (SAT POR LONG TAM LONG)'s Mainland box office reached 500 million yuan RMB, Hong Kong box office reached HK$ 6.5 million to become the summer Hong Kong film champion. Yesterday Goo Jai, his on screen daughter Hanna Chan and producer Paco Wong attended an audience appreciation event under the Number One Storm Signal and celebrated with champagne. Goo Jai's appearance excited the audience. Fans played games and sang Goo Jai's remake of THE MOON REPRESENTS MY HEART in the film. A female fan was being indecisive and asked Goo Jai to sing. Goo Jai immediately turned her down. "No way, I'm not singing. You already missed your chance." Due to the box office success, Paco Wong also revealed interest in a sequel. However it would have to have a good script first. It must be able to move the audience and the cast. It should not be made half heartedly. He also praised every actor for their good performance in the film. Goo Jai in the film had to fight and cry. He was even seen as a favorite for the Hong Kong Film Award Best Actor nomination. Was he confident? Goo Jai said, "I am already very happy that the audience likes it and it is doing well at the box office. Awards depend on fate." He said that fighting scenes were not his expertise. He would accept the sequel when it happens. New comer Hanna Chan said that on the first day of work she saw Goo Jai for the first time and his presence already put her in awe. "Goo Jai performed very well, very explosive." 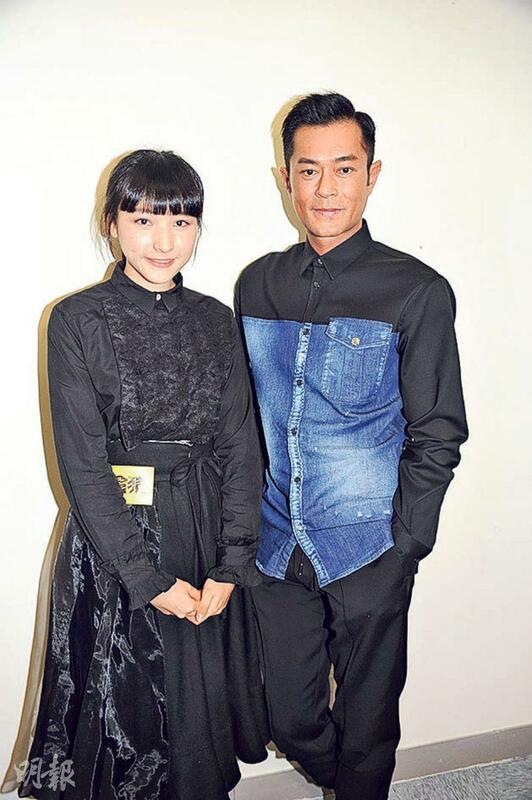 Hanna Chan said that she did not dare to move and hoped to be able to work with Goo Jai again.